'Opposite attracts' is a very common saying, and I find it very adorable if it happens in books. One example might be Ron Weasley and Hermoine Granger from the Harry Potter series. In some cases, they're attracted to the other characters' feature/traits that they don't have. 3. Good characters that can make me love them too. Good characters doesn't only mean they're kind or perfect or whatever, I just want them to be well-developed in the story. I want to feel like I know them personally, and if they're my type, I might love them as well and make them my book-boyfriends♥♥. And sometimes book characters doesn't always have to be super handsome or well-built, because I can't see them visually (technically only in my mind)—that's why their personalities are what matters the most. 4. A realistic and believable plot. I don't mind any happy/sad ending to a romantic couple in a book, as long as there's a reason for everything that happened and I can accept it in the end. I'm not the type of reader who always hope for a happy ending, because sometimes in real life not everything ends on a happy note. I might chose The Best of Me by Nicholas Sparks as an example, but I won't spoil anything. 1. Love at first sight (insta-love) or love because of sexual/physical attraction. 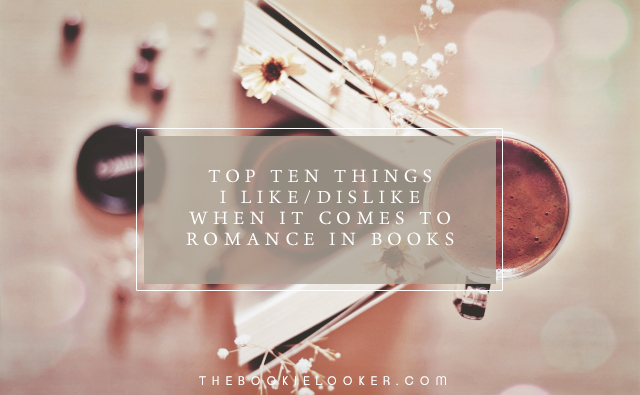 This is the first thing that I can think of about what I disliked about romance in books. I cannot seem to relate to the character because I don't know why she liked the other person. And it's not enough for me if the character only thinks that someone is beautiful/handsome and then fall in love. 2. When I can't relate to the characters. Somewhat related to the previous point here, but this can be caused by a lot of other things as well; for example, I can't relate to their decision about something. There has to be a logical reason so that I can relate and understand what the characters are doing and why. There are times when cheesy dialogues can be cute and acceptable for me; especially when I'm too deeply in love with the character and find whatever they're doing adorable. However, I have to say that it's more often that I dislike characters who keeps saying cheesy remarks to the opposite person. I need to emphasize the word 'annoying' in my point, because there are times when indecisive characters have reasons for their actions. But I really don't like it when these characters become annoying. The last one on this list will be the one I hate the most. As I've said in previously, I don't really mind a happy/sad end to a story as long as it stays realistic and satisfies me. Unrealistic/unsatisfying end will make me exclaim 'what the heck?!' as I close the book. And it's definitely not a fun way to end a book. agreed with the insta love I hate it! I also like the love and hate relationship! Indecisive and cheesy relationships annoy me too! I dislike it when characters refuse to make a decision, especially in regards to love triangles. 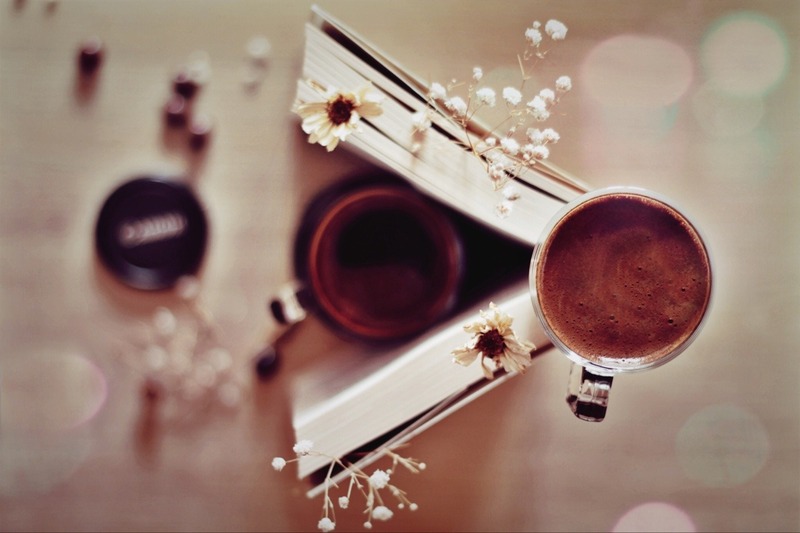 To the opposites attract and enemies-turned-lovers, it's the writing and romance development that makes it or breaks it for me. I loved romances like Ron and Hermoine or Celaena and Chaol, because both were well characterized, but, like you said, others, if not well written, seem cheesy and dull. Interesting thoughts, love the post! Cheesy relationships are a major no-no for me. But yes I also love friend-ship like romances, I think they are really relatable and adorable. Great list! Ini informasi yang bagus, Aku jadi yakin bisa menulis cerita yang lebih baik setelah membaca ini. Jadi tau hal apa yang lebih menarik dan mana yang sebaiknya dihindari.